From the date of installation, Hertzler and George (Company) guarantees your installation from settlement of pavers and walls, and from separation of wall units for a 2 year period, under normal wear for which the product was intended, i.e. : if you drive or run heavy equipment over a walkway which was intended as a pedestrian walkway, Hertzler and George will not be held accountable. Extreme circumstances (including but not limited to fire, vehicular accidents, excessive flooding, excessive freezing, hurricanes, tree failure, etc.) causing damage to work installed by Hertzler and George are not covered under this or any other Hertzler and George warranty. This warranty is strictly limited to contract work performed by Hertzler and George or its subcontractors expressly for owner. In order to enforce the rights under this Warranty, the owner should promptly notify Company in writing in detail of the specific item or items which are believed to be covered by this Warranty. Any emergency requests will be given immediate attention. If Company finds in its reasonable judgment that the item or items requiring attention are covered by this Warranty, it will promptly proceed to repair or replace the defective materials or workmanship, at its sole cost and expense, except to the extent it finds that such repairs have been made necessary by the negligence or intentional misconduct of the owner, or any party or parties associated with owner. This war­ranty does not apply to efflo­res­cence. Efflo­res­cence is a nat­u­rally occur­ring process in all con­crete prod­ucts that some­times appears in the form of a white pow­dery film on the pave­ment sur­face. It does not, in any way, com­pro­mise the func­tion­al­ity or the struc­tural integrity of the prod­uct. Although efflo­res­cence can­not be pre­vented, it will wash off over time or can be cleaned with an efflo­res­cence cleaner. The Company accepts no respon­si­bil­ity or lia­bil­ity for this con­di­tion. This Warranty shall be void and shall not apply to any materials which were originally installed by Company, but which were subsequently repaired, adjusted, or modified by an individual or entity other than Company or its authorized representative. The warranties described above shall be the sole and exclusive warranties granted by Hertzler and George and shall be the sole and exclusive remedy available to the owner, or any subsequent holder of this Warranty. 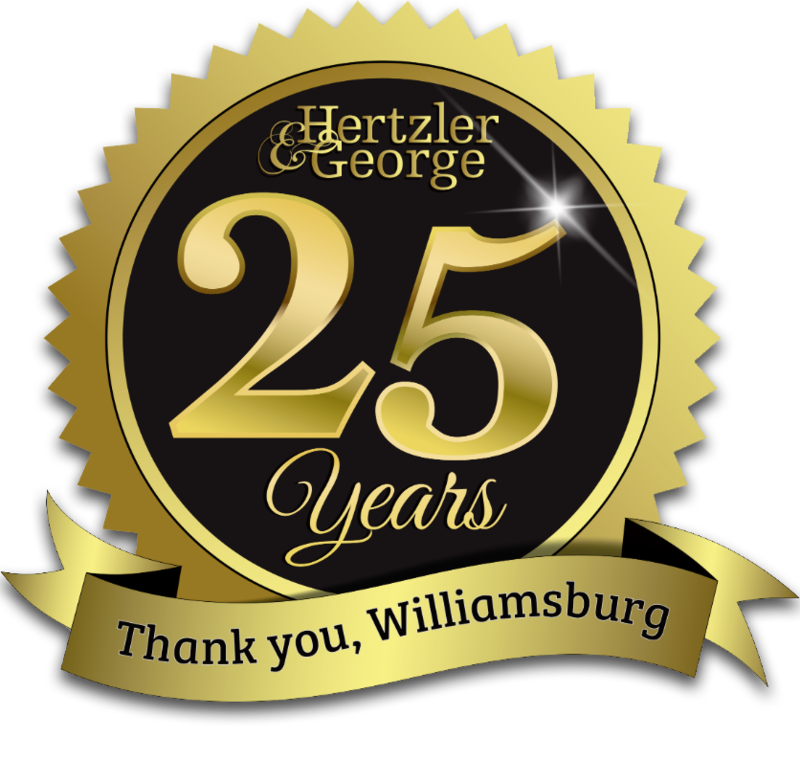 Neither the sales personnel of Hertzler and George nor any other person is authorized to make any warranties other than those described above or to extend the duration of any warranties beyond the time period described above. Hardscape Manufacturer’s Warranty – Hertzler & George primarily works with the following manufacturers of precast concrete material: Belgard, Newline, Eagle Bay, and Techo Bloc. Many of these manufacturers of hardscape products (ie. concrete pavers and wall block) carry their own lifetime warranties which may vary from one to another. These lifetime warranties apply to the precast block or paver specifically. The specifics of the product warranty can be confirmed with the selected block product manufacturer.